The PowerLite Pro Z10000UNL projector combines high-lumen projection with Full HD, WUXGA performance — perfect for installation in large venues. 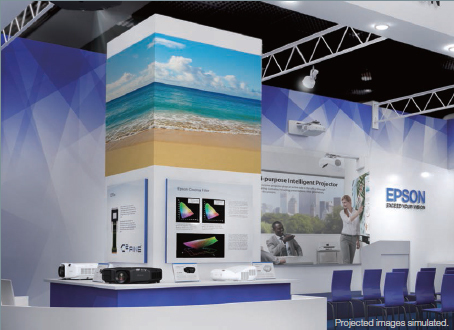 Offering 3x Brighter Colors than competitive models, Epson projectors ensure vivid images. With 10,000 lumens of color brightness and 10,000 lumens of white brightness, the Z10000UNL makes content shine, even in high ambient light. Featuring 3LCD, 3-chip technology and the latest connectivity — including HDBaseTTM and 3G-SDI — this powerful performer delivers uncompromised image quality and professional-grade reliability. And, installation has never been more flexible, with seven optional lenses, lens shift, Curved Edge Blending, Portrait Mode and 360-degree projection features. Brilliant image quality requires high color brightness. 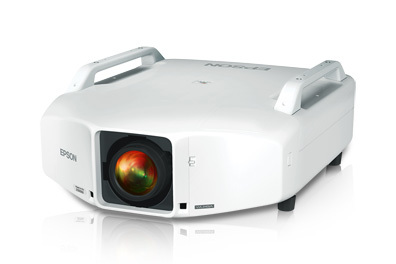 Epson 3LCD projectors have 3x Brighter Colors than leading competitive projectors. Delivering 10,000 lumens of color brightness (color light output) and 10,000 lumens of white brightness (white light output), the PowerLite Pro Z10000UNL uses 3LCD, 3-chip technology for brilliant images with true-to-life color. One brightness measurement (lumens) is not enough. A projector's specification needs to show both high color brightness and high white brightness. 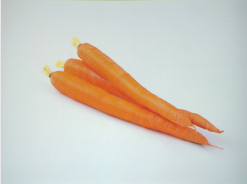 If color brightness is lower than white brightness, images may be dark, dull and lose detail. 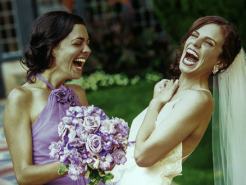 If not provided, be sure to ask for a projector's color brightness specification. (Epson 3LCD and 1-chip DLP competitor). Both projectors are set to their brightest mode. 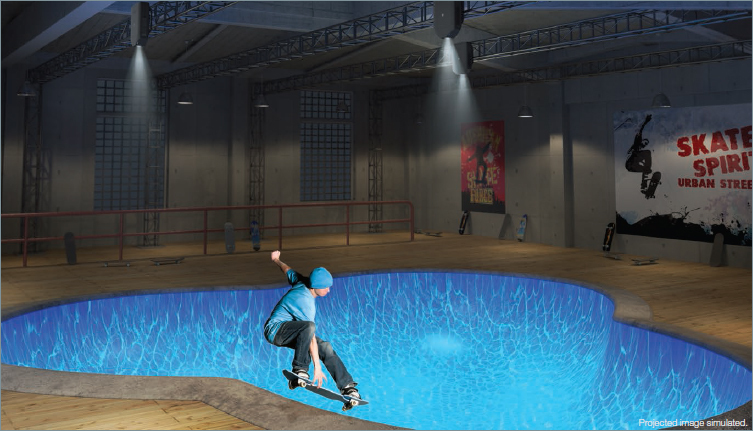 Make static structures come alive with eye-popping 2D and 3D video projection on virtually any exterior - including buildings , bridges and tunnels. 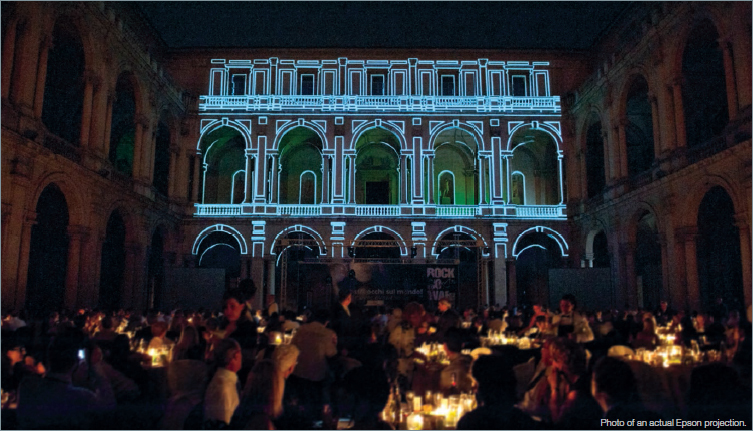 Pro Z Series projectors offer projection mapping capabilities to support spectacular, breathaking productions. These site-specific video displays are ideal for an array of uses, including advertising, public art, entertainment and more. Transform practically any object or setting into a dynamic visual display, regardless of the shape or size. 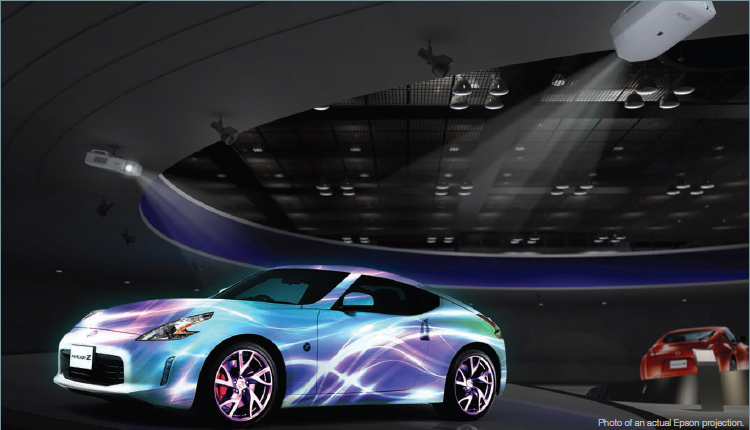 From cars to landscapes to entire interior spaces, there is no limit to the applications made possible by projection mapping - even the most irregularly-shaped surfaces can become a screen. Take advantage of every surface in the room. Pro Z Series projectors can be rotated 360 degrees, for off-axis positioning flexibility, and are ideal for a wide array of applications, including projecting on the ceiling, on the floor, or as part of a rear-projection system. 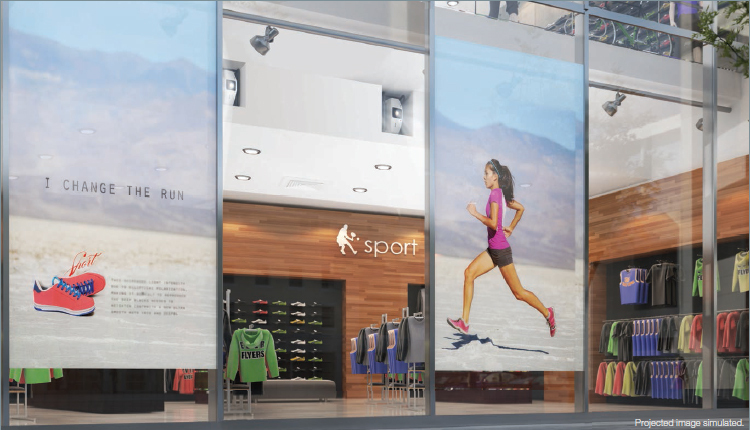 A creative solution for fashion shows, live performances and virtually any setting requiring projecton onto tall, vertical screens or surfaces, Portrait Mode enables you to install the projector on its side for displaying digital signage, screening images or projecting video with portrait orientation. Stack two projectors and achieve the ultimate in brightness with twice the lumens. This convenient solution also facilitates bright and affordable passive-3D presentations and videos that jump off the screen. 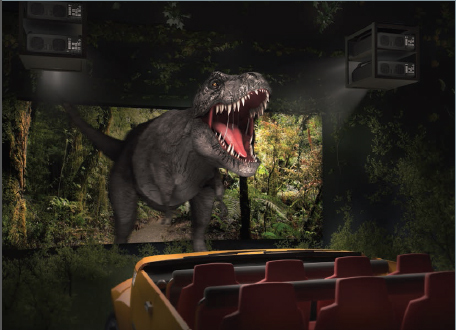 Deliver amazing, outside-the-box experiences with coner-wall projection. Project on hoizontal walls or vertical walls, or use Edge Blending and corner-wall projection simultaneously for an even more incredibile effect. Split Screen allows you to display content from two inputs simultaneously, side by side, on a single screen. 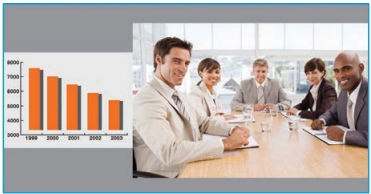 With three layout options, you can display video and presentation materials. Or, you can run video on both screens. Connect to virtually any system with HDBaseT, HDMI, DVI, VGA, BNC and LAN connectivity. Cutting-edge HDBaseT technology means just one single CAT-5/6 cable carries Full HD video, audio, network and control commands. And, it's over 328' to accommodate large venues. There's no need for additional cables, signal repeaters or added labor. For your convenience, Epson offers and optional HDBaseT transmitter box as a companion piece to the Pro Z Series. Three inputs are featured for easy installation: HDMI, LAN, and RS-232 to output into a CAT-5/6 cable. 3G-SDI supports the latest connectivity options. Install the projector as close as a 0.7 throw ratio to the screen and still get clear, crisp projection. A 1.2x room and up to 50 percent vertical and up to 18 percent horizontal lens shift give even more flexibility when you need it. 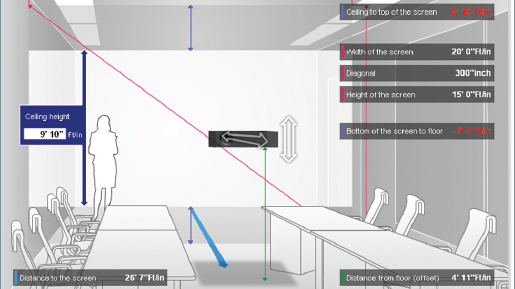 Use the throw distance calculator to determine which projector is right for your room size. 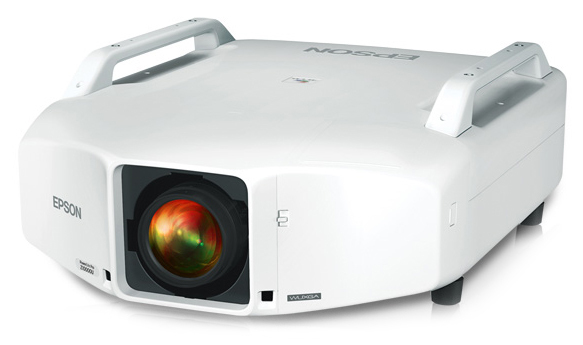 Featuring an efficient, durable product design, Pro Z Series projectors are remarkably easy to maintain. Lenses and lamps can be replaced quickly and easily without additional tools. Plus, side access to the filter makes cleaning simpler than ever. Connectivity Access - Tool-free cover release means easy connectivity and lens replacement. This comes in handy for rental and staging applications. Long-life, Easy-to-replace Lamp - Long-life lamps that las up to 3000 hours (Normal Mode) or 4000 hours (ECO Mode) can be replaced quickly with no tools and without having to uninstall the projector from the ceiling. 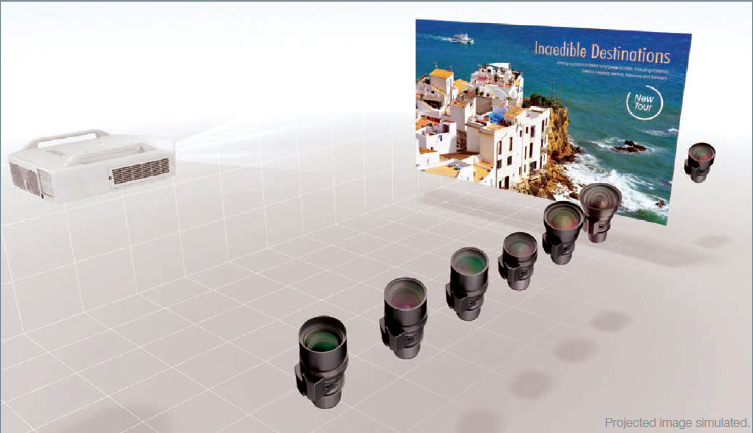 Easy Lens Replacement - With optional lenses, these projectors can handle projection distances near and far. 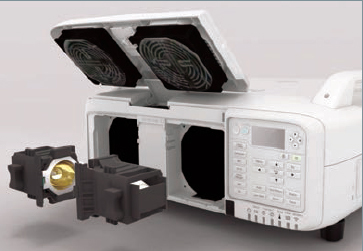 Filter Replacement - The Epson electrostatic filter captures particles as small as three microns, due in part to its pleated expanced design. 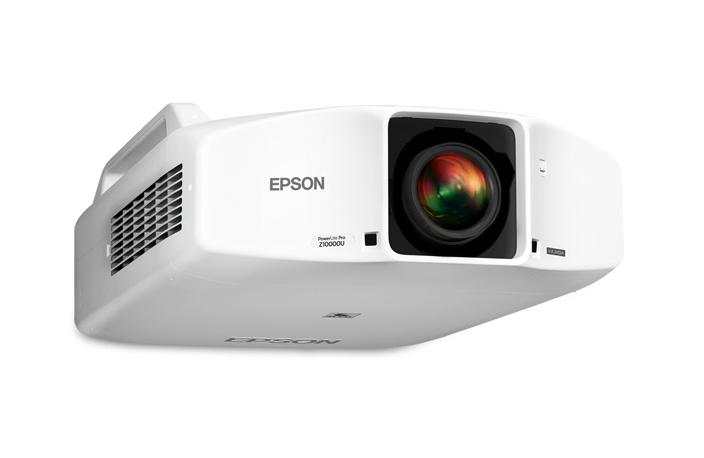 If you are searching for a solution that gives you control over your time, Epson network projectors with EasyMP Monitor capabilities can help. 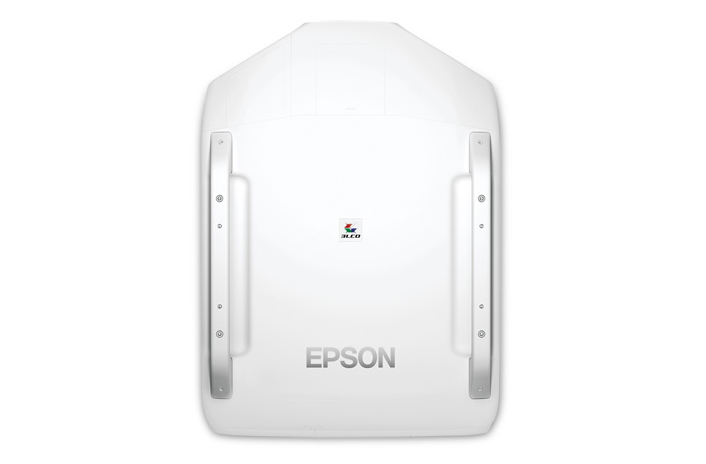 Epson network projectors contain built-in remote access, with no licensing fees added, to Epson monitor software. 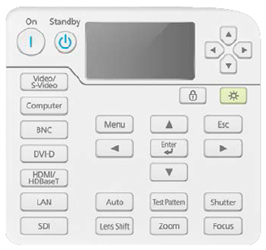 These features also give you added control, and the ability to troubleshoot and monitor all Epson network projectors from any computer over a wired or wireless Ethernet network. 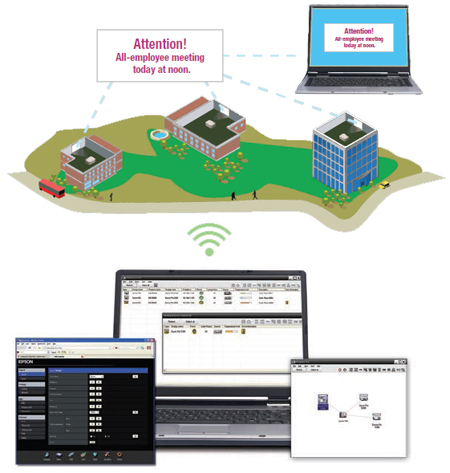 Wirelessly connect - you can either connect to a wireless network (infrastructure) or to an ad and hoc (peer-to-peer) wireless computer. Optional wireless module sold separately. You can use EasyMP Network Projection to display your computer screen through the projector, via a network, for effective meetings, presentations and digital signage applications. You can use either wired or high-security wireless LAN connections and project the same or up to four different images on up to four projectors, or display a panoramic image. 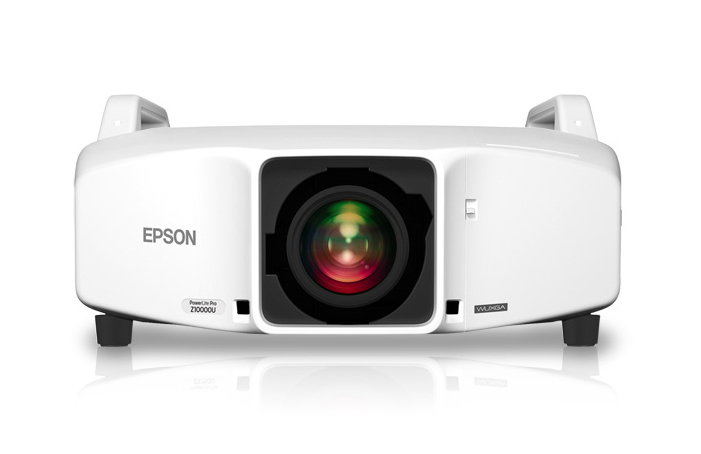 Epson network projectors can also be accessed from your browser via an internal web page. Whether you assign a static IP address or enable DHCP, the projector becomes accessible once it's integrated in your network. The internal web page lets you control items such as network configuration, projector settings and email alerts. The innovative feature enables you to broadcast customized images/alerts over the network for announcements or instruction. 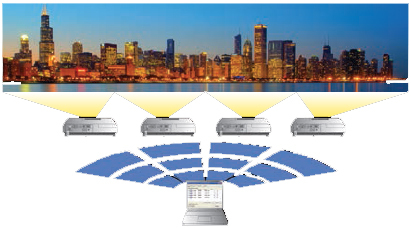 Messages can be sent to up to 1024 projectors simultaneously and will overwrite the current screen content if the projector is being used, unless this function is disabled by the presenter. If the projector is off, Message broadcasting will turn the projector on and then display the message. Don't interrupt your presentation due to a lamp failure. 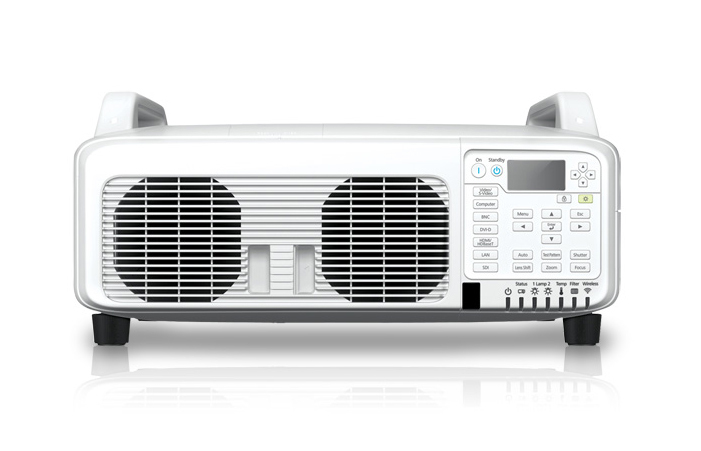 The PowerLite Pro Z Series projectors boast a dual lamp system (two 380 W lamps) that eliminates the risk of interruption. If one lamp were to fail, operation would continue, using the other lamp. Each lamp has a long lamp life - up to 4000 hours in ECO Mode, up to 3000 hours in Normal Mode Replacements are made easy with tool-free and unobstructed access to the rear control panel. 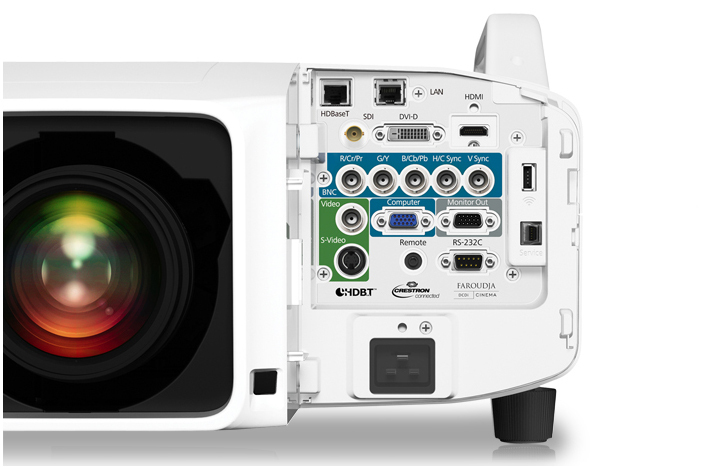 The PowerLite Pro Z Series Projectors includes six test patterns with precise setup features, including detecting distortion, checking linearity, color reproduction and bleeding, and tone production check. 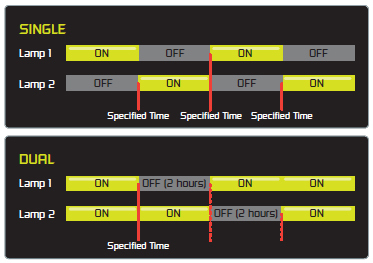 PowerLite Pro Z Series projectors features a status monitor on the rear panel for quick access to status updates and warnings. By using the Web browser of a computer connected to the projector on a network, you can change projector settings or control the projector. Use multiple projectors to overlap images, and there are no bright spots where the overlap occurs, providing dynamic, seamless projection. Allows you to turn the projector 90 degrees and use it in "portrait" mode. Great for digital signage, fashion shows, art galleries and museums. HDBase-T is an input source that combines HDMI, ethernet and RS-232 into one convenient Cat5e/6 cable, for expanded connectivity. 3G-SDI is a digital input that uses a BNC connector, can extend the signal for 300 feet and supports 1080p video frame rates. 2 Consult your user manual for input combinations. Size (projected distance) 60" – 500"
Brilliant image quality requires high color brightness (color light output), and Epson 3LCD projectors have 3x Brighter Colors than leading competitive projectors. Get both audio and brilliant HD video content with just one HDMI cable (compatible with the latest laptops, Blu-Ray and media players). 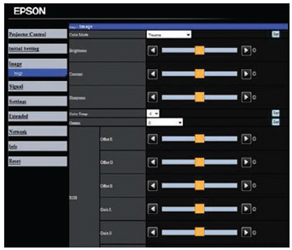 Epson offers optional lenses with varying ranges, including a rear-throw lens, for added flexibility. 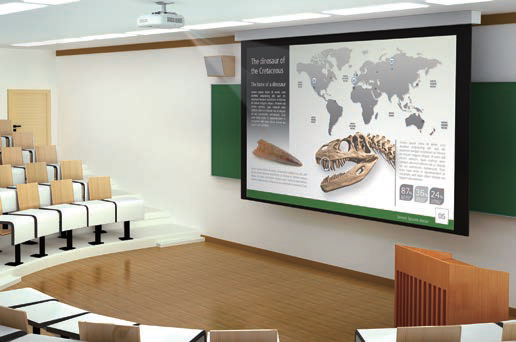 This tilt feature makes it easy to use the projector for a wide range of applications, such as projecting on angled surfaces. Epson's Multi-PC Collaboration utility allows you to display four PC screens simultaneously over the network with even more users connected to the same projector on Standby Mode. 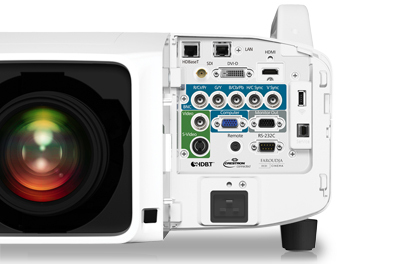 Crestron RoomView compatibility allows IT managers (those who have standardized their equipment using this popular platform) to easily monitor and control network-connected Epson projectors via the same software they use currently to monitor all other projectors on their network. This unique design makes installation easy to plan with lens-to-screen alignment. Epson's Auto Iris Technology adjusts the aperture to provide the optimum contrast and brightness for each scene. For special projection material such as high-quality photographs or artwork, users can adjust the hue, saturation and brightness for six colors: RGBCMY (Red, Green, Blue, Cyan, Magenta, Yellow). This innovative feature allows you to move any of the four corners of an image independently at setup, to adjust each corner for a perfectly rectangular picture. Built-in closed captioning helps educational institutions meet ADA 508 requirements for students with hearing impairments. Display from your iOS or Android mobile device with the free Epson iProjection App and any nearby wireless Epson projector. 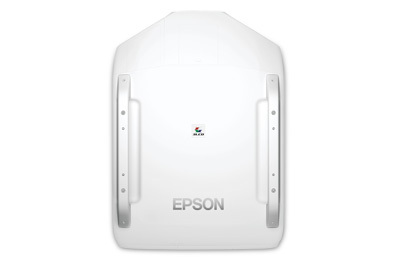 *Check your owner’s manual to determine if a separate wireless LAN module must be purchased separately to enable wireless connection on your Epson projector. Epson projectors can be networked either through the Ethernet port on the projector (check model specifications for availability) or via a wireless connection. 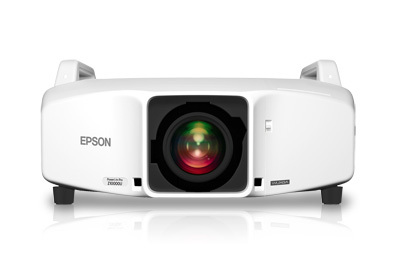 Not all Epson projectors are able to be networked. Availability varies depending on model. 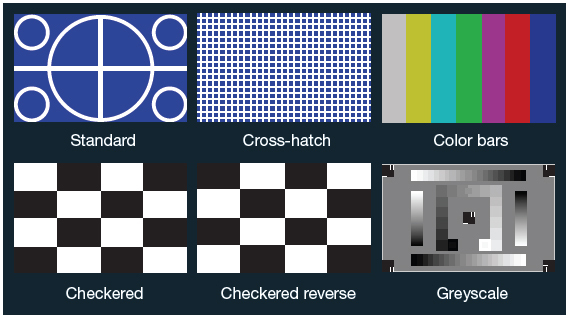 When an image appears arched or barrel-shaped, due to an uneven wall or screen, Arc Correction enables you to correct all four sides of that image. The ideal solution when using multiple projectors to overlap images, Edge Blending ensures there are no bright spots where the overlap occurs. 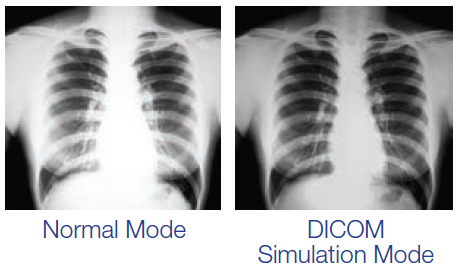 DICOM (Digital Imaging and Communication in Medicine) is a standard for handling, storing, printing and transmitting medical imaging information. *This projector does not meet the DICOM standard Part 14 and should not be used as a medical diagnostic device. Install your projector virtually anywhere, and project from any position within a 360-degree radius. Project two images (video or still) side-by-side from two different sources simultaneously. *Consult your user manual for input combinations. Why is Color Brightness Important? Look for two lumens specifications, one for Color Brightness and a separate White Brightness spec, when comparing projector models. To select a projector with vibrant color, crisp detail and realistic skin tones, look for both High Color Brightness and High White Brightness. Low Color Brightness can result in images that are 1/3 as bright. Actual photographs of side-by-side projected images from an identical signal source. 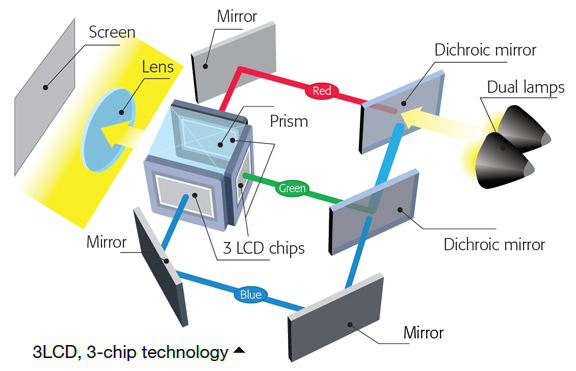 Price, resolution and white brightness are similar for both projectors (Epson 3LCD and 1-chip DLP competitor). Both projectors are set to their brightest mode. Color Brightness is a scientifically set global standard that measures a projector's Color Light Output. It was concluded that there are such significant differences in color brightness performance among different projector models and brands that color should be measured separately to provide consumers with fair and accurate information. The Color Brightness specification allows you to make a more informed decision when purchasing a projector. Color Brightness (or Color Light Output) measures the brightness of the colors in a projected image, not just the brightness of white. This is critically important as most projectors are used for color content, and color is a critical component of picture quality. Where did the spec come from? 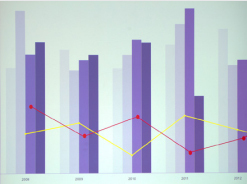 A committee of display experts, after extensive scientific evaluation, established a global standard – the International Display Metrology Standard (IDMS). The standard, published in June 2012, IDMS version 1.03, covers the three leading international display standards organizations worldwide – the Society for Information Display (SID), the Visual Electronics Standards Association (VESA) and the International Consortium Display Metrology (ICDM). Does “lumens” cover both Color Brightness and White Brightness? No. Unless you see a separate specification for Color Brightness, you are only getting the White Brightness of the projector. Color Brightness may be 1/3 of the brightness stated. How is Color Brightness determined? Color Brightness (Color Light Output) is measured in accordance with IDMS 15.4. 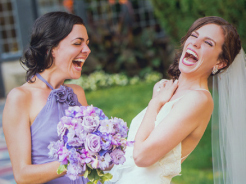 Can there be a difference between Color Brightness and White Brightness? Yes. For example, a projector with 3000 lumens of White Brightness may only have 800 lumens of Color Brightness. 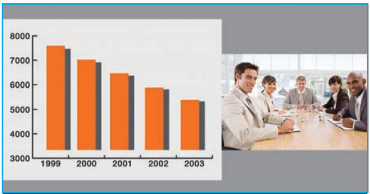 Image quality can vary greatly, even among projectors at similar price points and with traditional specifications – you may not get what you paid for. Color Brightness may be 1/3 of the White Brightness stated. Look for separate Color Brightness and White Brightness specifications to ensure you get the best overall image quality for everything you display. Are LED lumens different than regular lumens? No. A lumen is an international standard measurement of light output, regardless of the light source. Why can't I find Color Brightness as a published specification? Not all projectors have both High Color Brightness and High White Brightness, and many manufacturers may not want you to know their projectors may be 1/3 as bright when it comes to color. Projector Auditorium Series: High lumen installation projectors for large venues with optional lenses, lens shift, native Full HD support, and advanced image processing. Lens options for most throw distances.